Welcome to Reception. 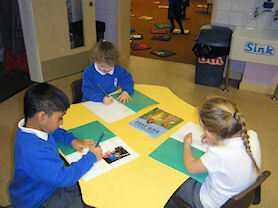 We are a hard working class and enjoy investigating and exploring all areas of the Early Years Foundation Stage. 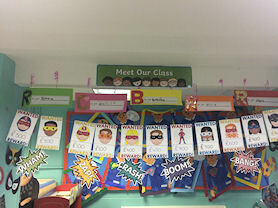 We have one reception class with a full time class teacher and learning support practitioner. 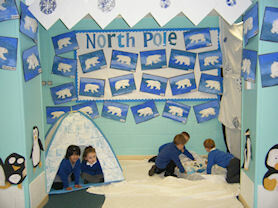 Our class has an outdoor area which is available at all times weather permitting. We work together to develop and grow. We believe in building strong speaking and listening skills that can then be used to strengthen the children's abilities in all areas. 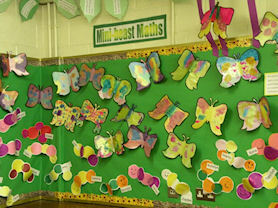 The children enjoy practical learning experiences which encourages their understanding of a subject. 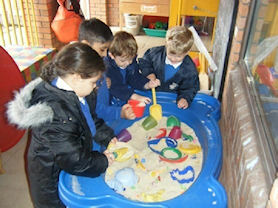 In Reception the children particularity enjoy acting, dance, imaginary play and working with number. We encourage their interests through child initiated activities and adult led activities. We believe that strong links with parents and carers helps develop children's academic abilities and enjoyment of school life. We hold weekly Play and Stay sessions to involve parents with the children's learning. 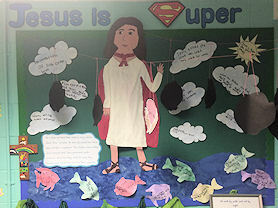 We aim to give the children in reception the best start to their education to enable them to be successful, independent, self-motivated and equipped with the skills needed throughout their school experience. 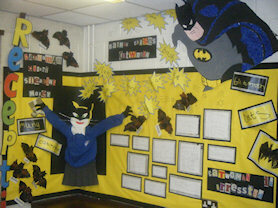 Some more work on our Superheroes topic. 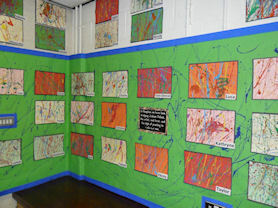 Art in the style of Jackson Pollock. 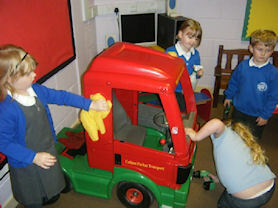 Washing the truck in the role play area. Making parts for the truck. 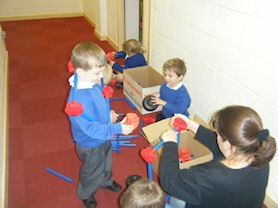 Constructing things with our parents during Play and Stay. Digging for numbers in the sand.